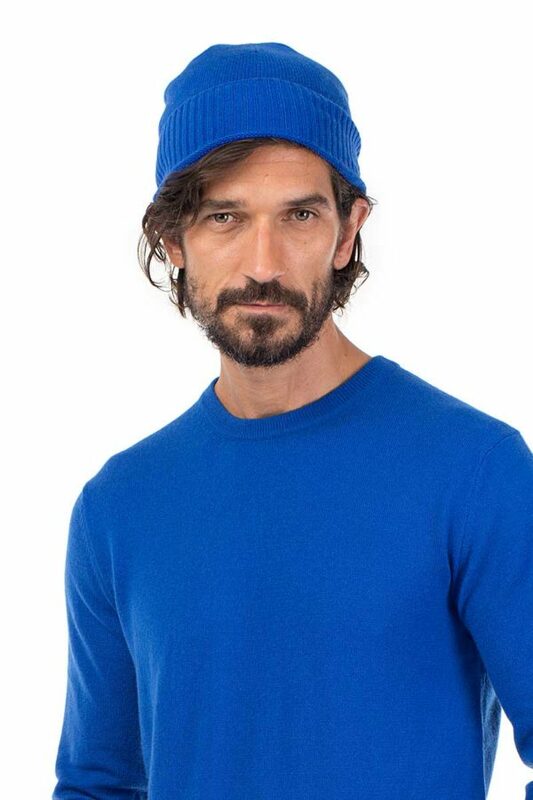 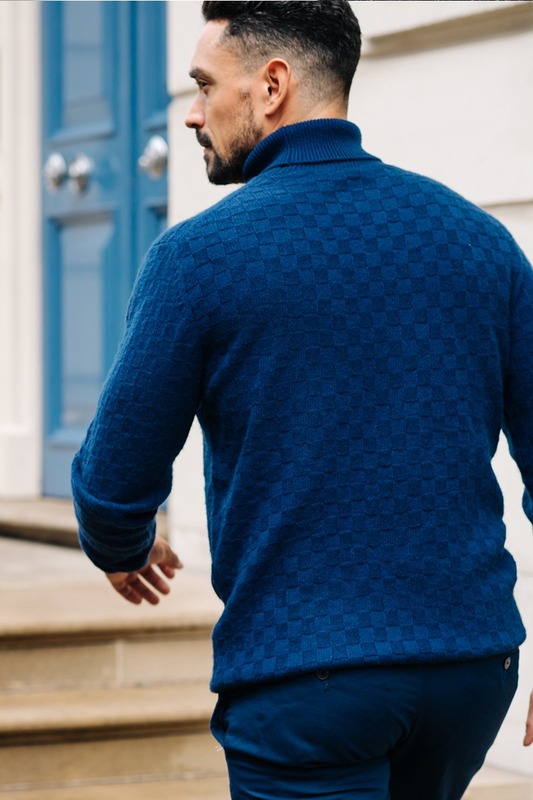 Made from the purest, softest cashmere in a terrific shade of azure blue. With a ribbed cuff, adding some interest, and style. 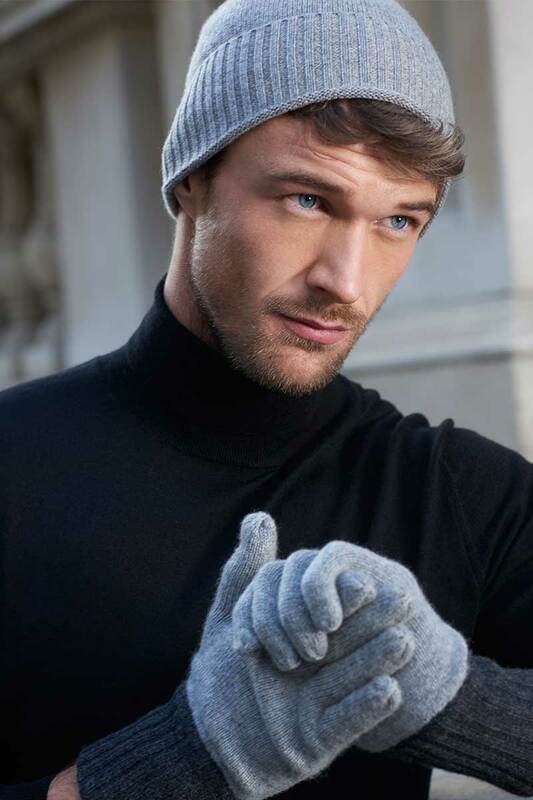 Wear it to keep the cold at bay. 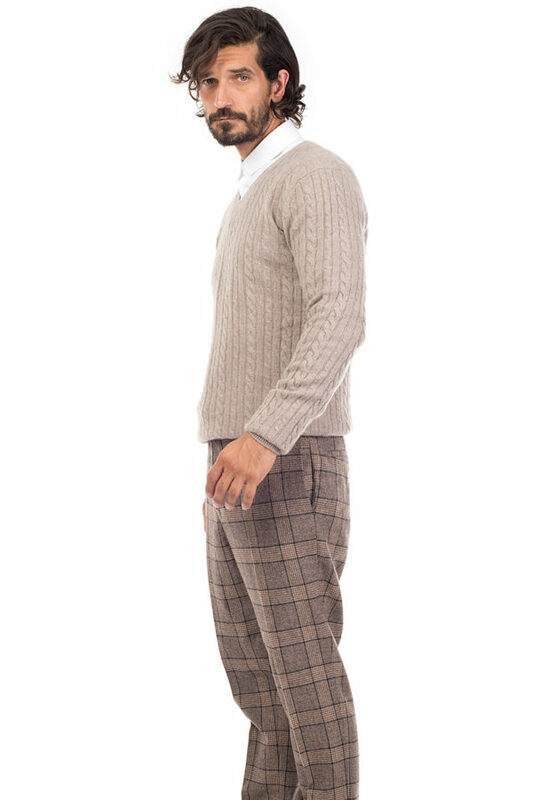 Warm, and cosy during the cold winter months. 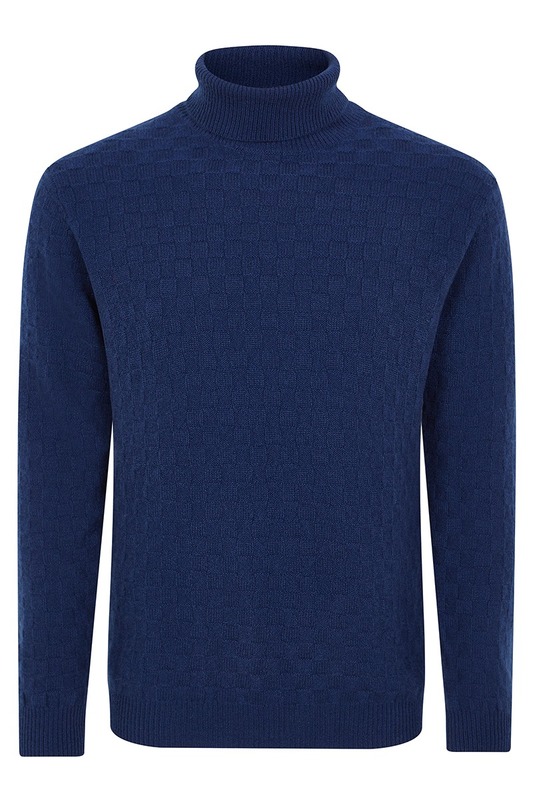 The perfect injection of colour.An ideal gift. 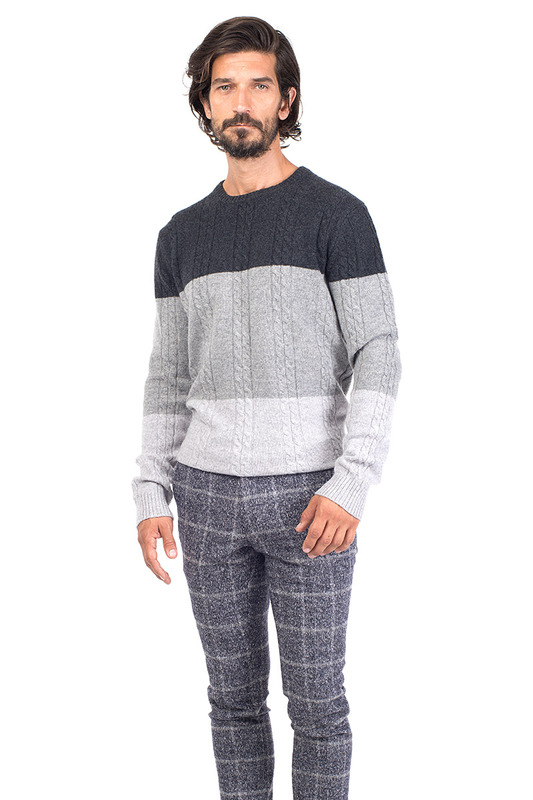 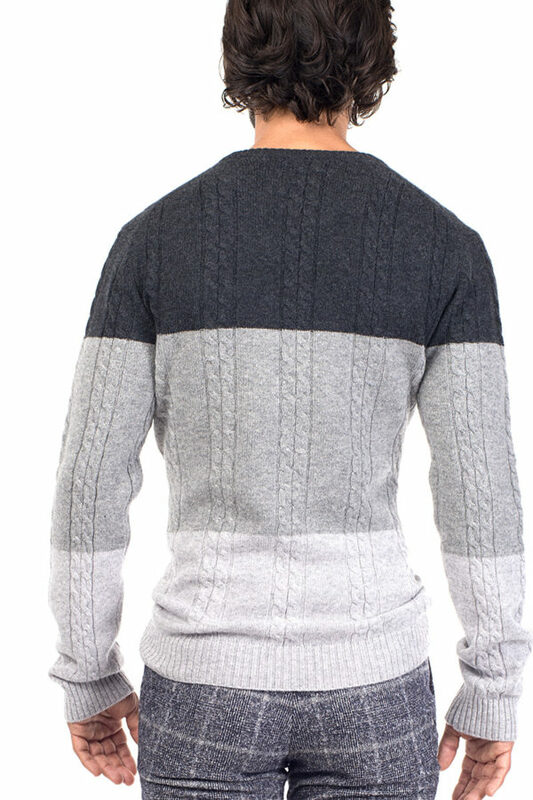 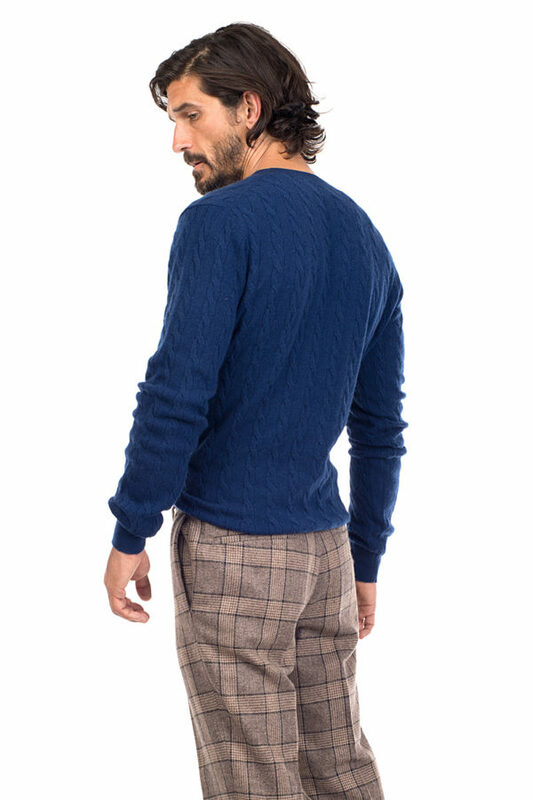 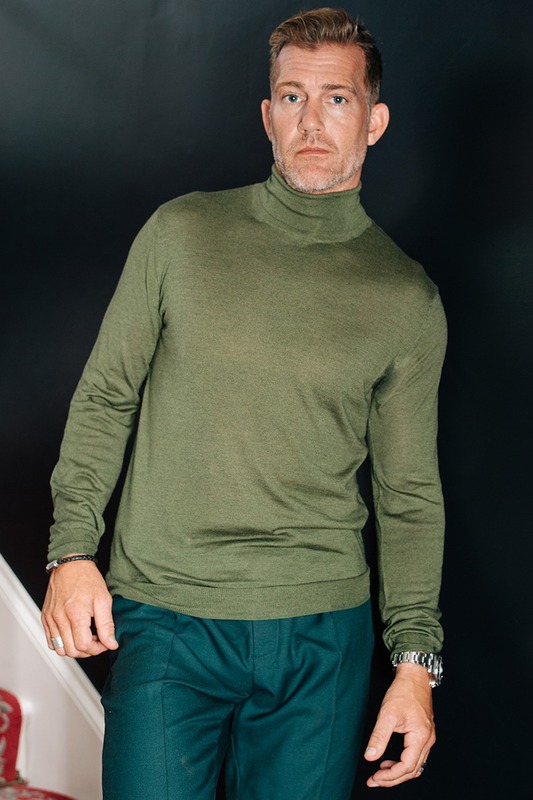 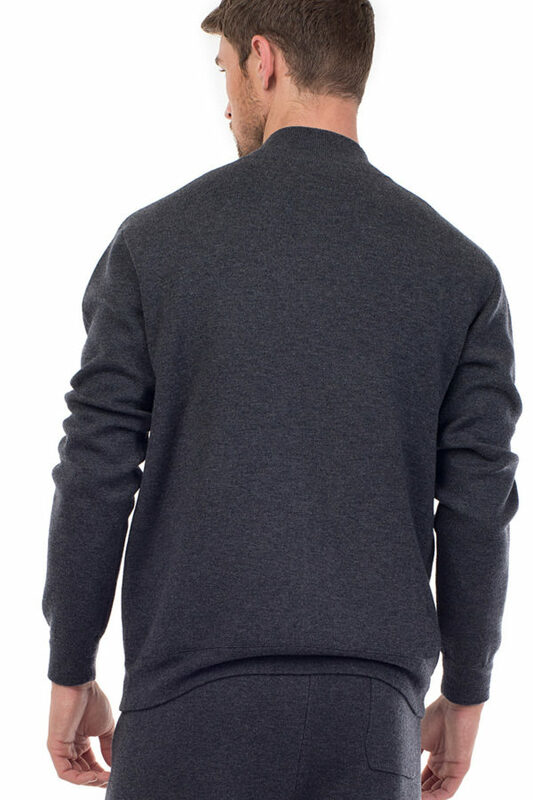 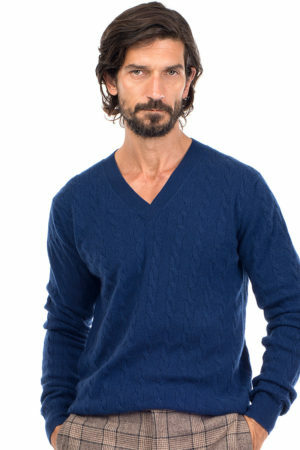 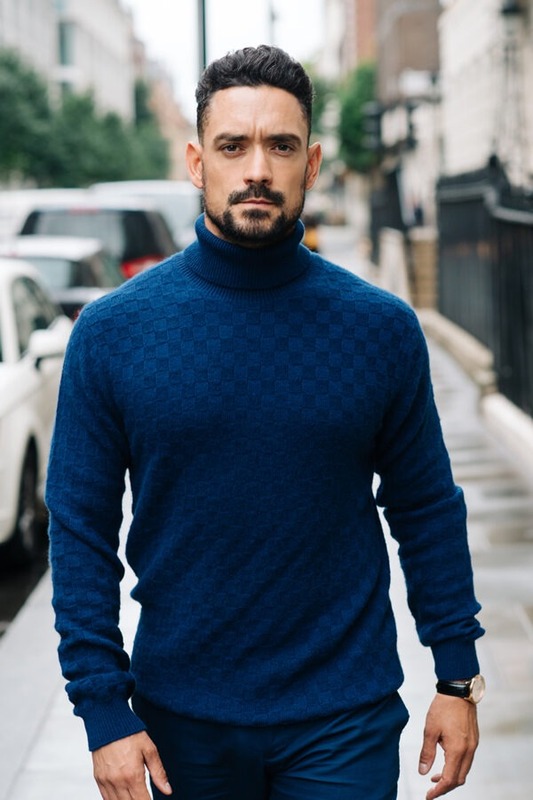 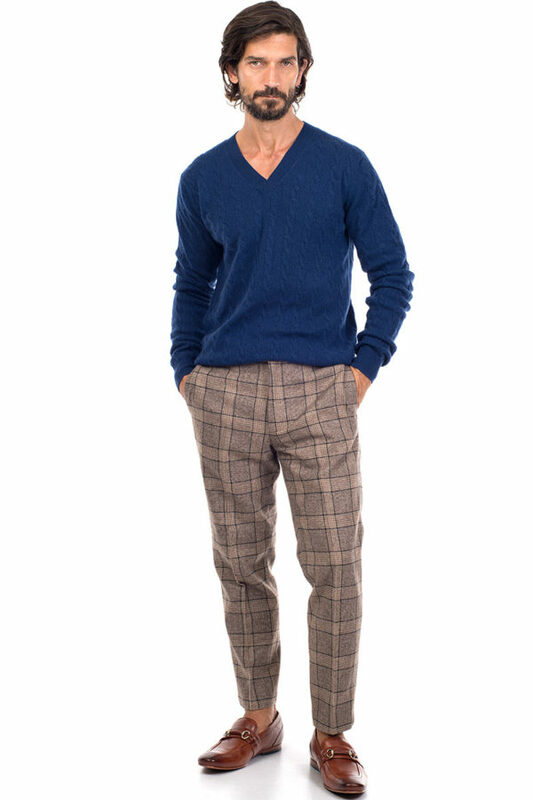 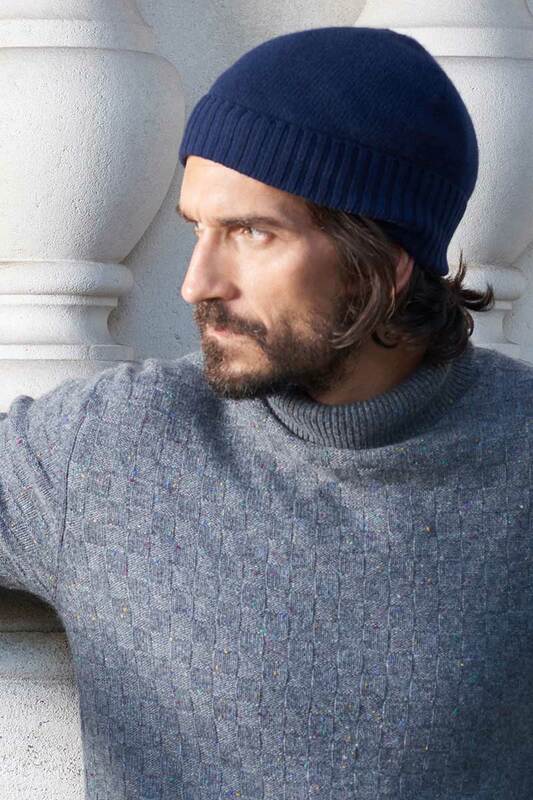 The Vail cashmere crew neck sweater, is the ultimate piece to add into your winter wardrobe. 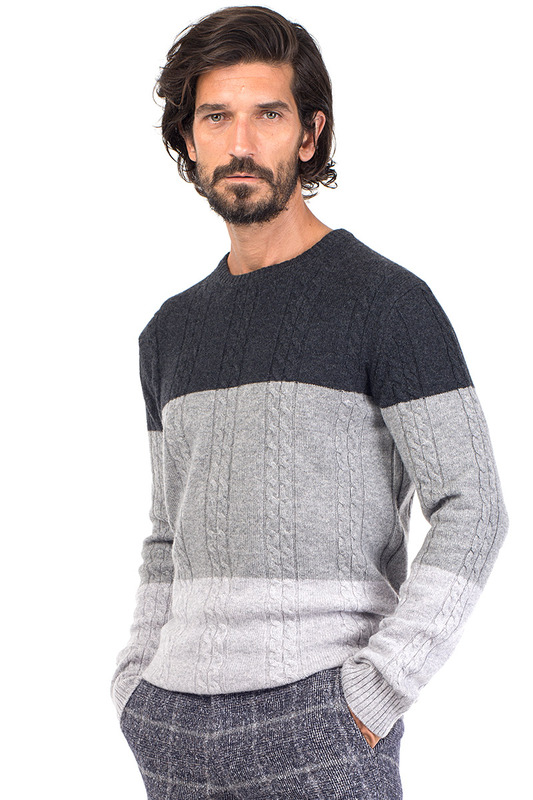 In three shades of seasonal grey, from dark charcoal to light heather grey. 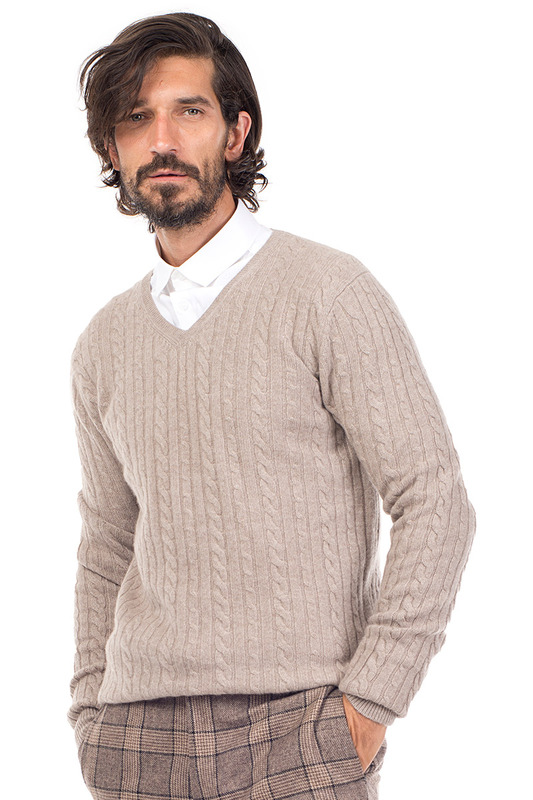 Cable knit in luxurious pure cashmere. 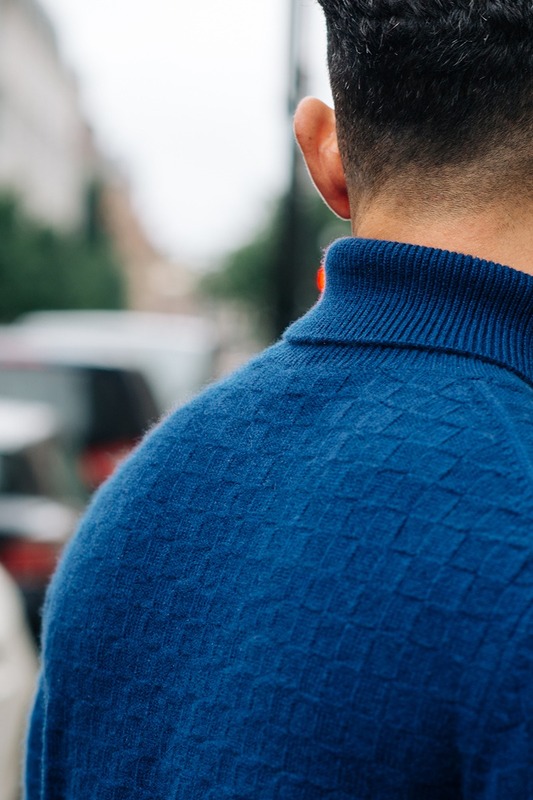 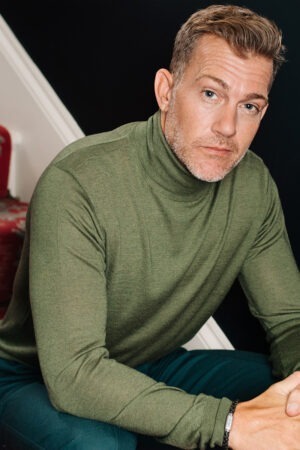 Wear yours with dark trousers, jeans and smart brogues. 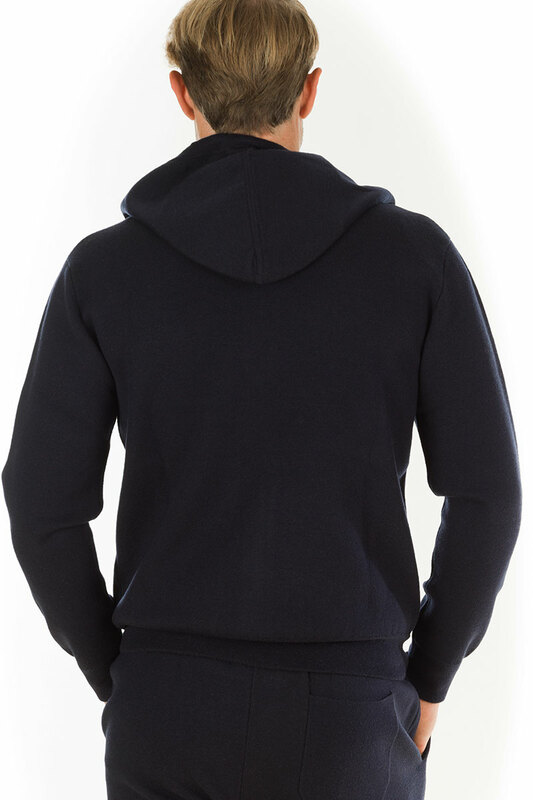 Wear this with your favourite jeans, or pair this under the Maverick Hoodie, or Cooper zip up jackets. 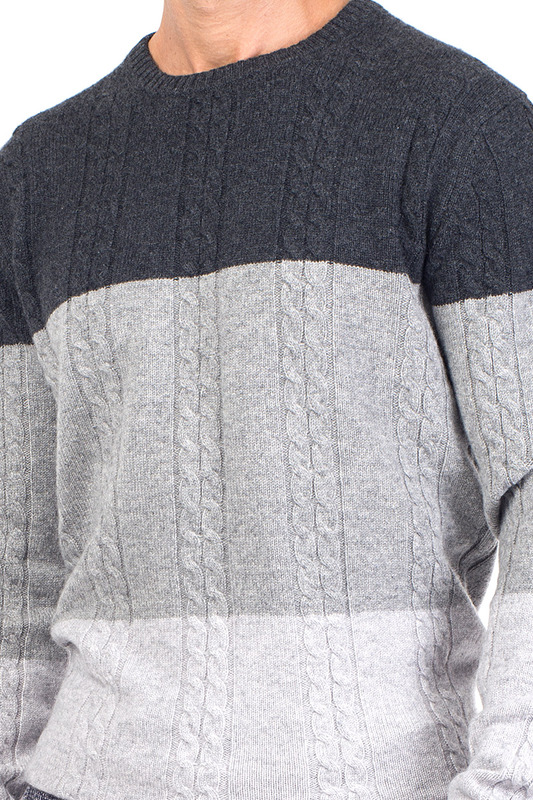 Shades of striped grey cable knit cashmere. 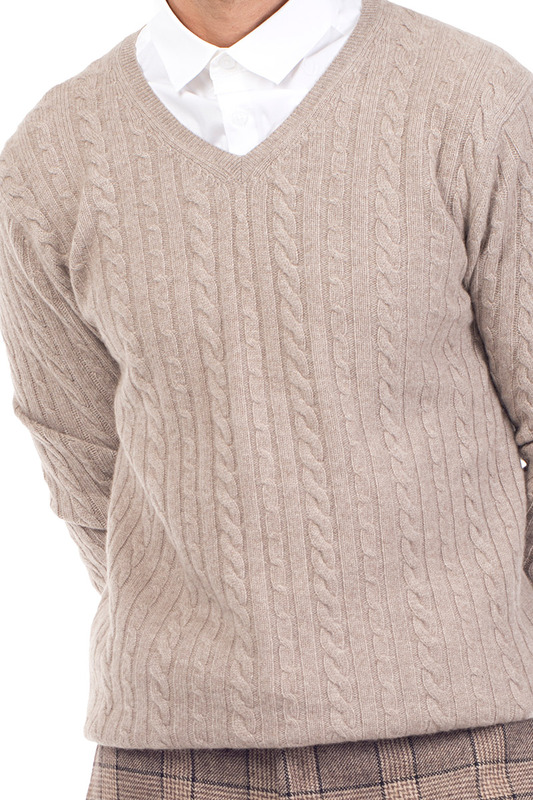 Ribbed hem and cuffs. 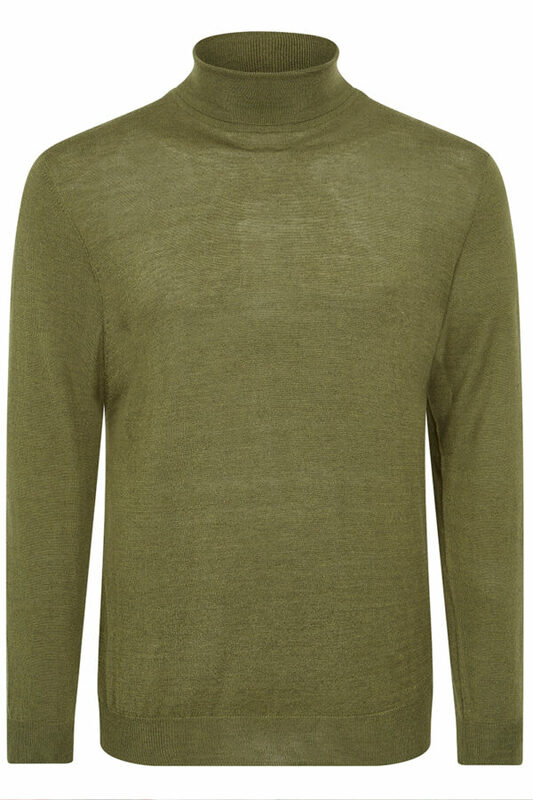 Dry Clean Only. 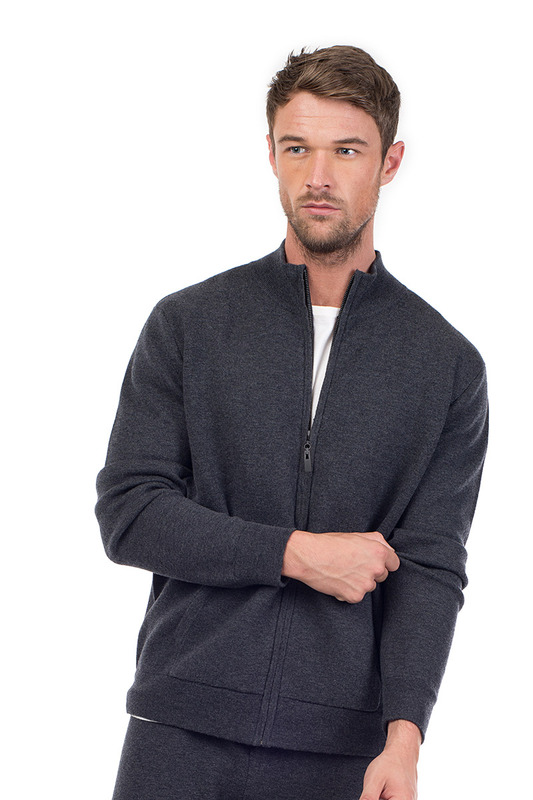 100% Cashmere. 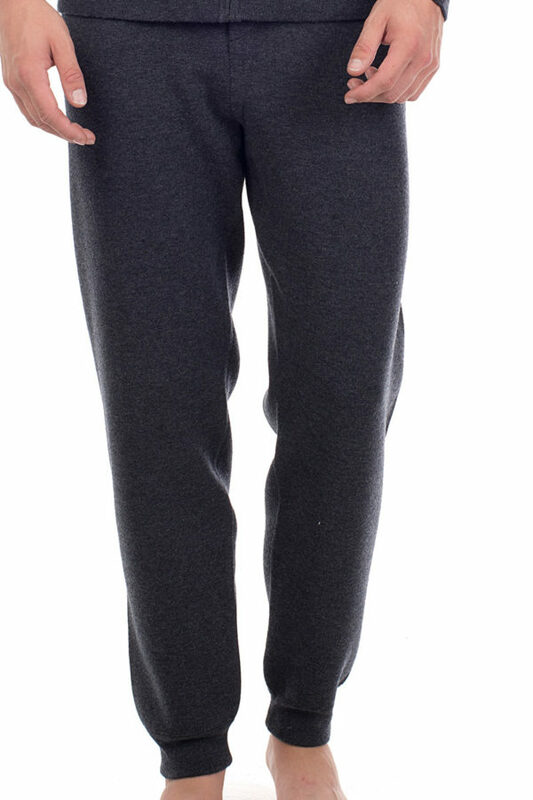 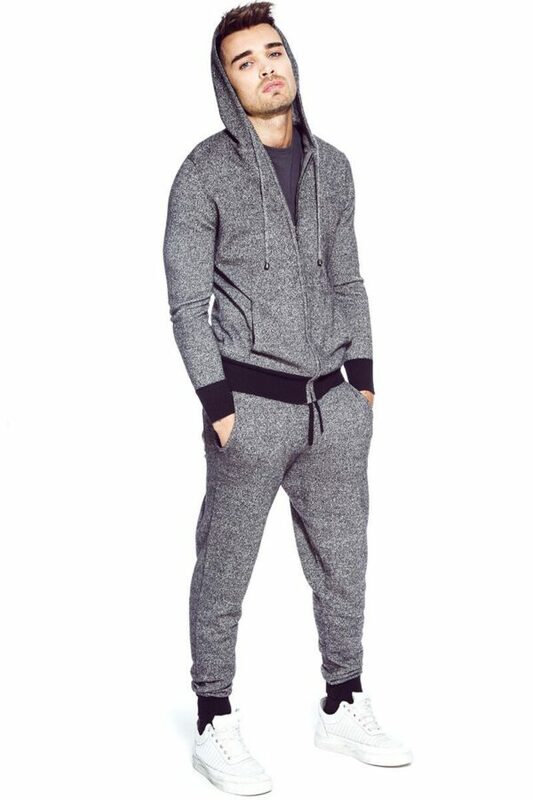 These super luxurious mens grey sweatpants have been cut to give optimum comfort, and a great relaxed silhouette. 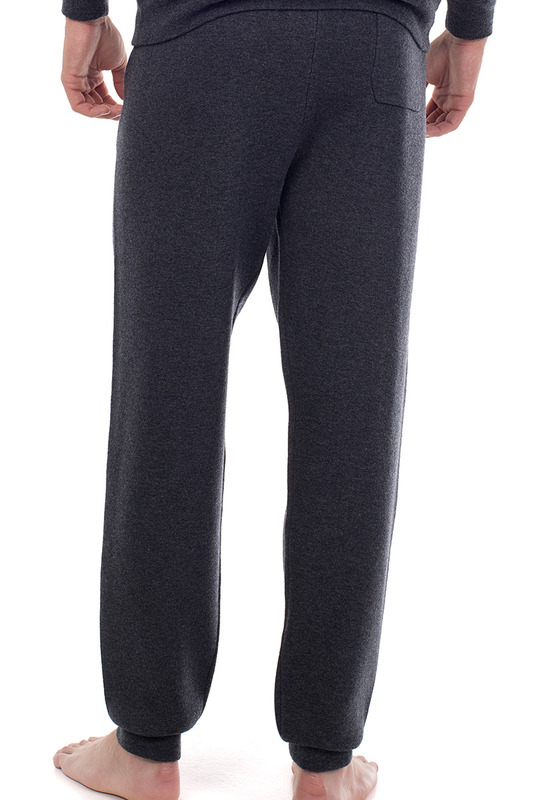 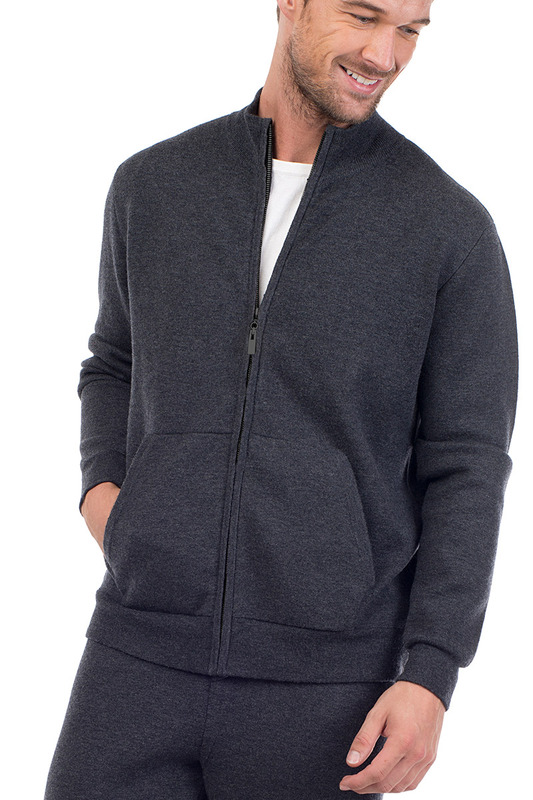 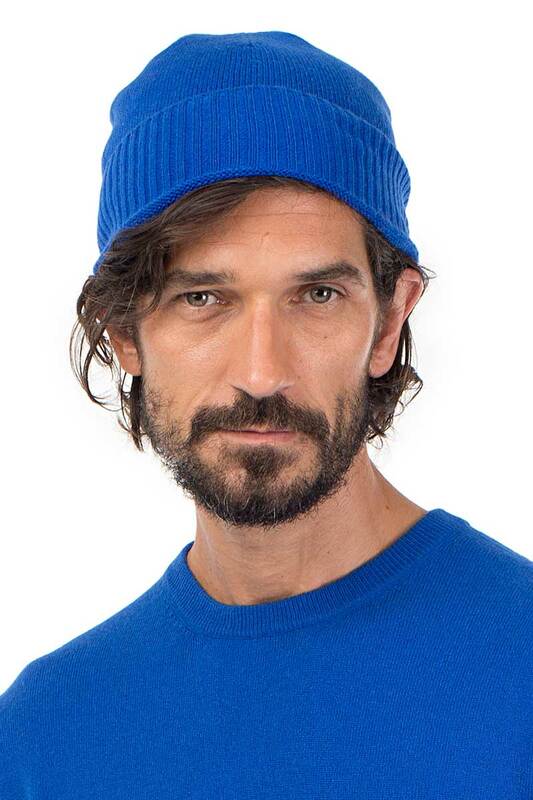 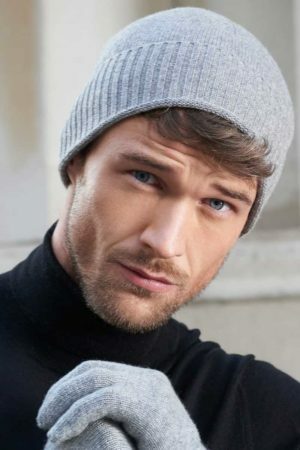 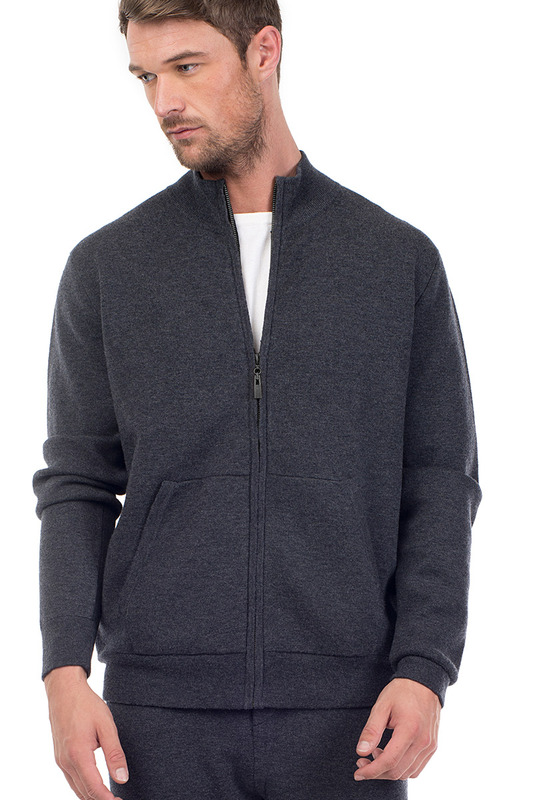 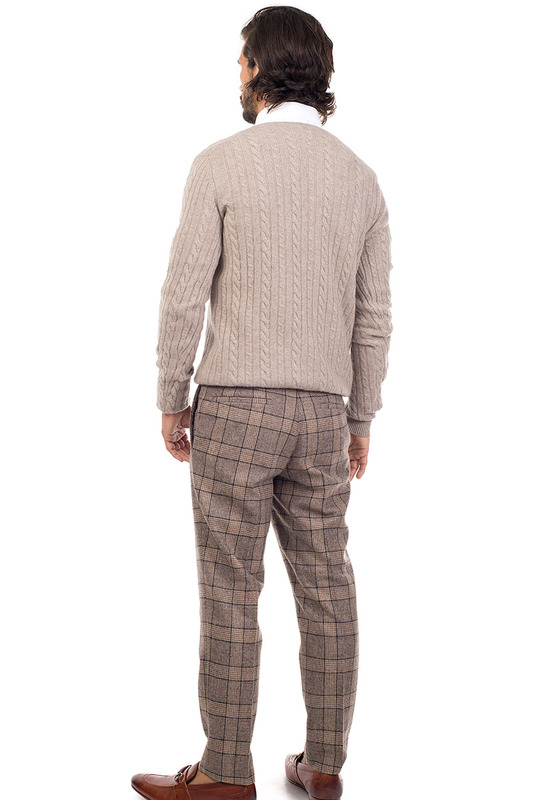 Made from extra fine merino wool and cashmere, they are unbelievably soft. 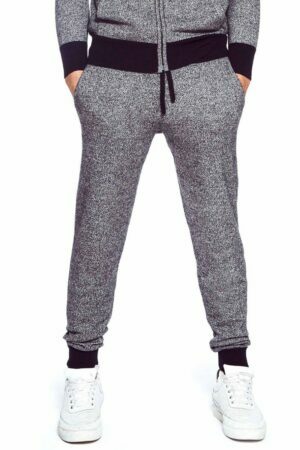 With an elasticated waistband and drawstring, so you can adjust these to the perfect ft.